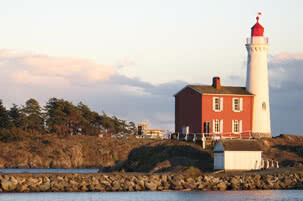 North Saanich perches on the northern tip of the Saanich Peninsula, with 40kms of oceanfront encircling a landscape of rolling fertile farmland dotted with rocky hills. 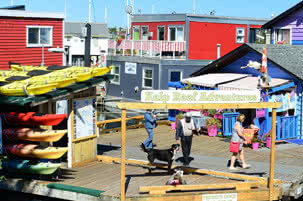 This picturesque municipality has been called one of the best rural residential communities in all of Canada. The Town of Sidney was part of North Saanich when it was first incorporated in 1905, but a lack of population and firm tax base resulted in dissolution of the new municipality in 1911. An air force base was established in 1940 at the site of what is now the Victoria International Airport and the resulting population boom in the area led to the incorporation of the Town of Sidney in 1952, and in 1956 the 2,865 residents of North Saanich requested that letters patent be issued to forn the “North Saanich Fire Prevention District” with power to own property, tax and borrow. North Saanich eventually incorporated in 1965, and today claims a population of around 11,500. The North Saanich Fire Department, with both career and volunteer firefighters, provides fire protection for the municipality, and policing is provided by the RCMP. Garbage collection is something residents have to arrange with private contractors, but a blue box recycling program is offered by the Capital Regional District(CRD), check their website for schedules and allowable items. There are neighborhoods that receive municipal water and sewer services, but some residents rely on wells, septic tanks and fields. 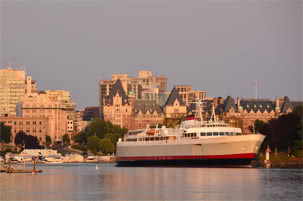 The two main transportation providers for Greater Victoria; the Victoria International Airport and the Swartz Bay Ferry Terminal are both located in North Saanich, and the Town of Sidney serves as the main business centre for the municipality. John Dean Provincial Park – Straddling the border of North and Central Saanich on Mt. Newton is the first donated provincial park in British Columbia. In 1921 John Dean donated a 32.4 hectare property and subsequent donations have increased the park to its present 155 hectares. The trail names commemorate the generosity of those those who donated land. Legend has it that Lau Welnew, as the First Nations people call Mt. Newton, was the high point of land that allowed them to survive the great flood. The ancestors of todays Saanich people were able to anchor their canoe here using a giant cedar rope until floodwaters receded. The five main trails in the park provide hikes of varying degrees of difficulty within a forest of rare old growth Fir, Cedar, Garry Oak and Arbutus. There is a lily pond near the picnic area, and wildflowers including blue camas lily, red indian paintbrush and white fawn lilies can be found in spring or early summer. Horth Hill Regional Park – Located on the northern end of the Peninsula is a geological feature called a monadnock, containing some of the oldest rock on Vancouver Island. You can see grooves and polished surfaces left by retreating glaciers some 15,000 years ago! It’s a vigorous hike to the summit, but you can stop and enjoy many panoramic views of the Saanich Peninsula, Gulf Islands and San Juan Islands along the way. Coles Bay Regional Park – A small park (3.6 hectares) on the western shore of the Saanich Peninsula, featuring a mixed forest with woodland trails leading to a tranquil bay and barnacle encrusted beach. This sheltered site was a historic wintering home for the Saanich people. The Lochside Regional Trail – 29 kilometres of multi-use trail that stretches from Swartz Bay to Victoria. Popular with walkers, runners, bicyclers and horseback riders, it passes through farmland and wetlands, past beaches and beside suburban backyards. The trail surface is mostly flat, wide and gravel or paved. You can find much more information about parks, trails and beach accesses if you visit the District of North Saanichwebsite. For those who are seeking a rural lifestyle or oceanfront property in a community that values its quiet country atmosphere, yet is close to the amenities a big city provides, North Saanich is worth checking out.